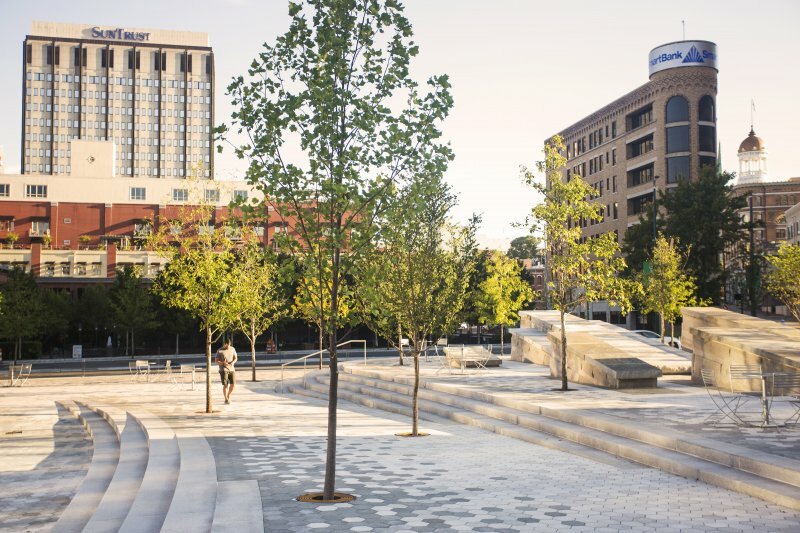 Located in the heart of Chattanooga, in the center of the city’s thriving Innovation District and one block from City Hall, Miller Park is a two-acre urban placemaking project accomplished in collaboration with landscape architect Spackman Mossop Michaels. 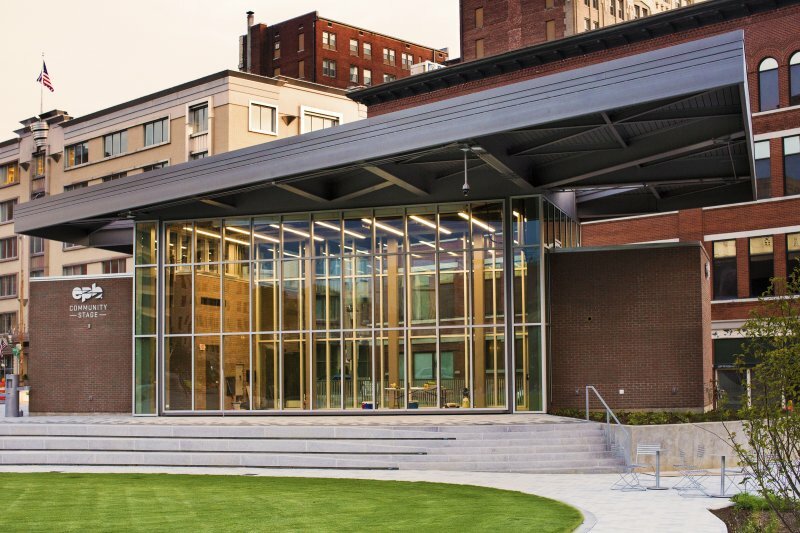 Commissioned by the City of Chattanooga, SMM/EDR led the planning and engagement process, with SMM leading the site design and EDR designing a performance pavilion. The design team took steps to integrate the public into the design process from the outset, and over a six-month span, held numerous open meetings and online platforms for capturing and integrating community input. 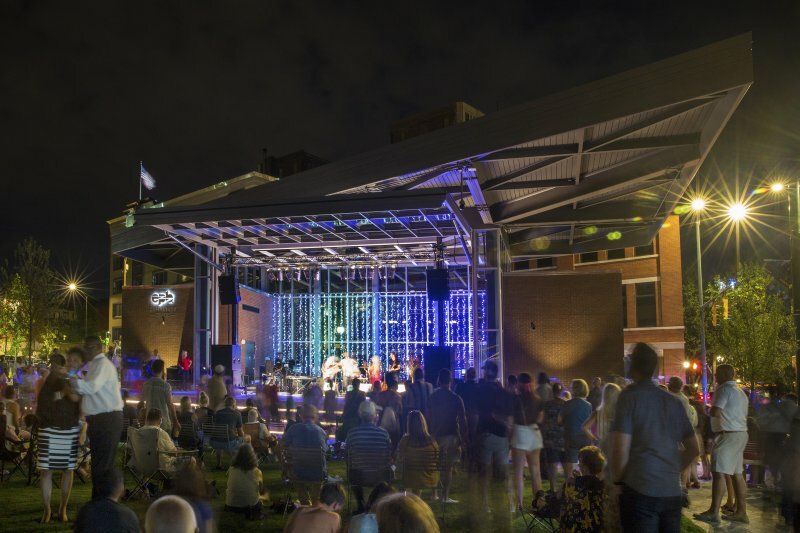 The design challenge involved reconsidering the sunken plaza which, in its existing configuration, created a disconnect between city and public space. 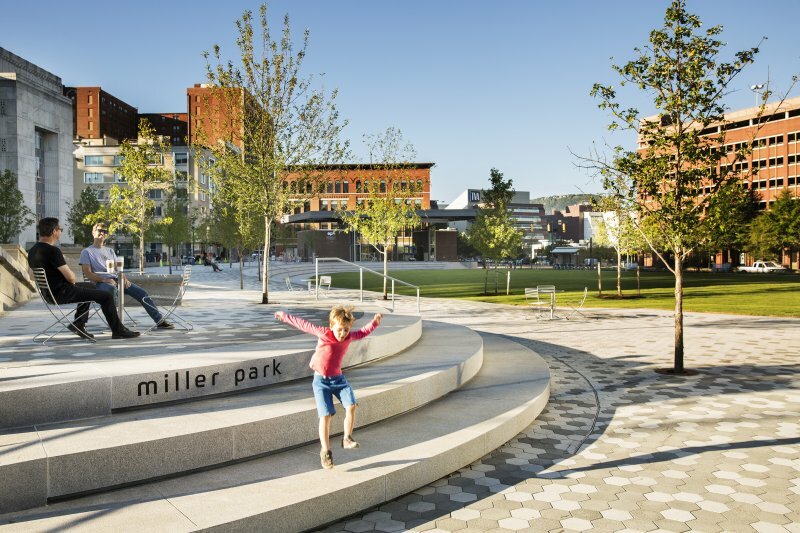 By elevating the entire park to street level and applying a “shared street approach” between Miller Park and the adjacent Miller Plaza, the team strived to create a unified civic space and encourage pedestrian traffic throughout the park. In its flexible layout, the park plays host to numerous cultural events. Bolstered by underground internet and electricity, its state-of-the-art pavilion serves as an ideal space for immersive, technology advanced productions. Beyond its civic and social benefits, the reimagined park provides immense ecological benefits in a dense urban area. Stormwater management solutions and a strategically positioned soil cell system enable tree roots to stretch without disrupting pavement, while simultaneously cleaning pollution from rainwater. Such a cohesive vision might not have materialized were it not for community input. Without such input, a project of this magnitude becomes just another development, one lacking purpose and beauty. Listening to local needs and concerns played a crucial role in designing a collaborative, accessible, and energized downtown Chattanooga.